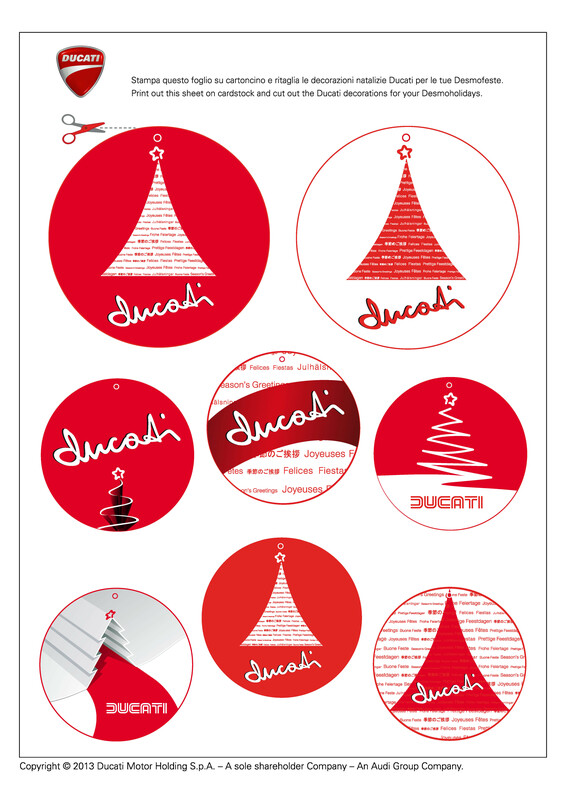 A Merry Christmas to all of our members! 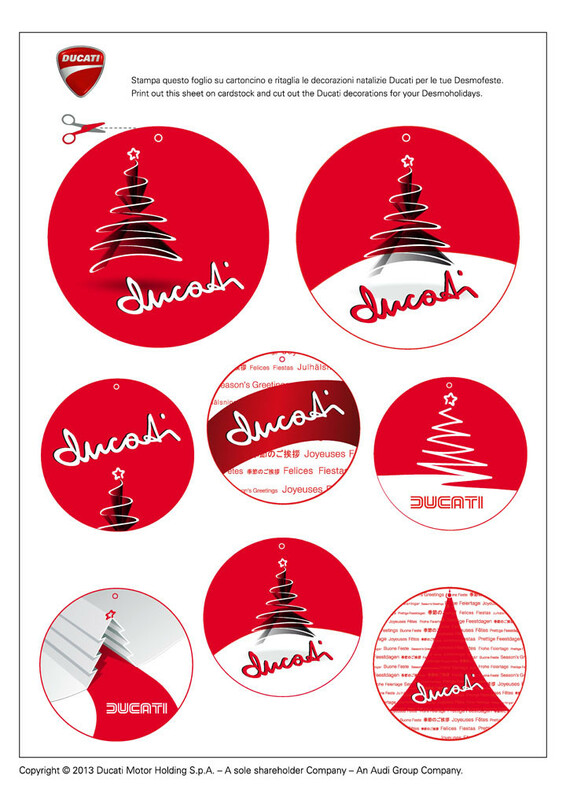 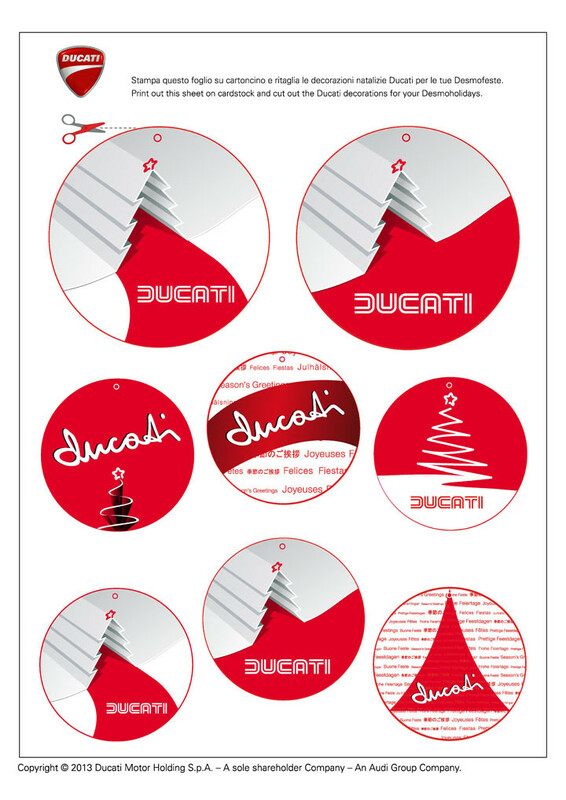 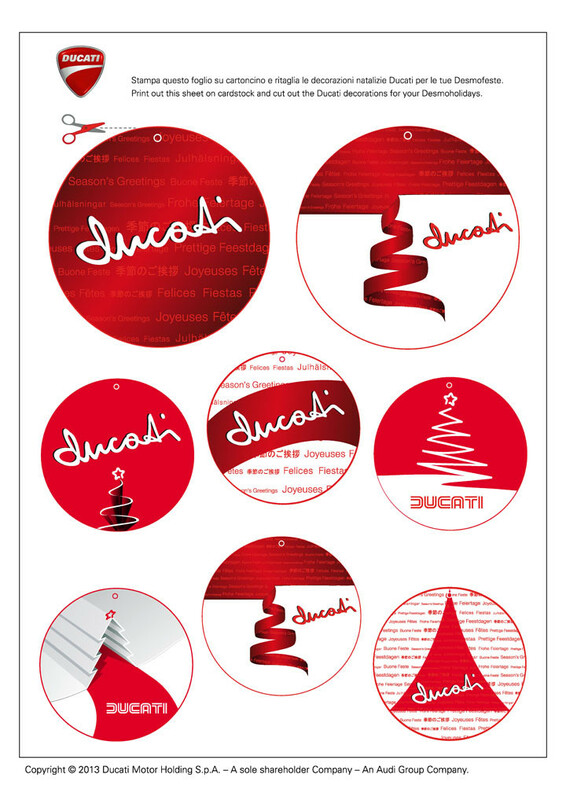 Here are a few gift tags and decorations for those who can't do without Ducati, even at Christmas! 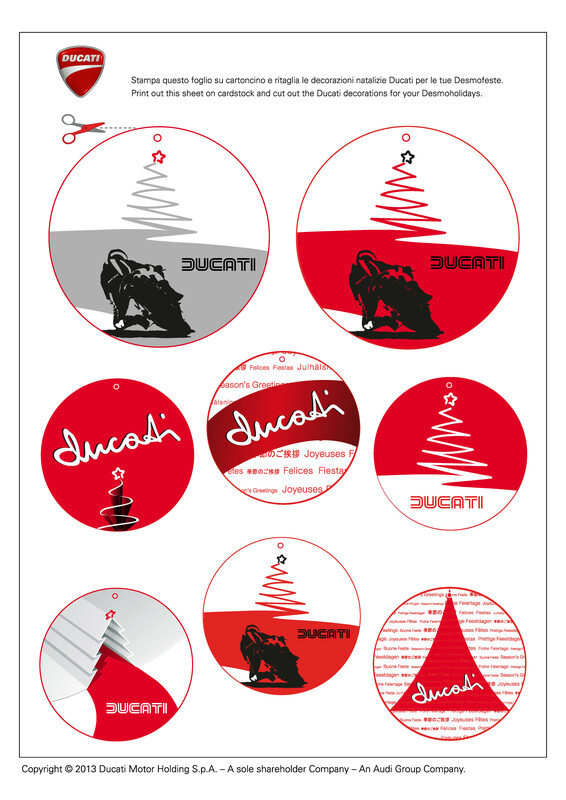 These were offered by Ducati a few years ago for personal use, just click on the one's you want and right click to down load the full size version. 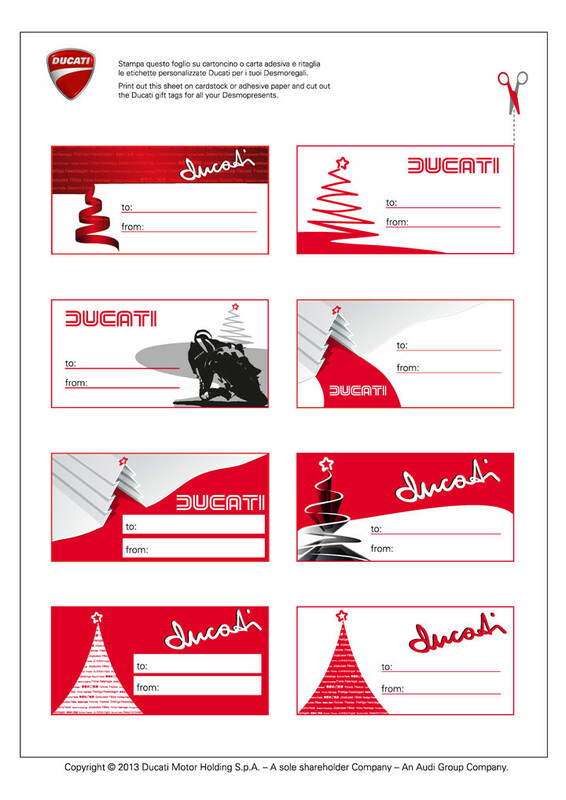 Print out, cut out, and stick on!